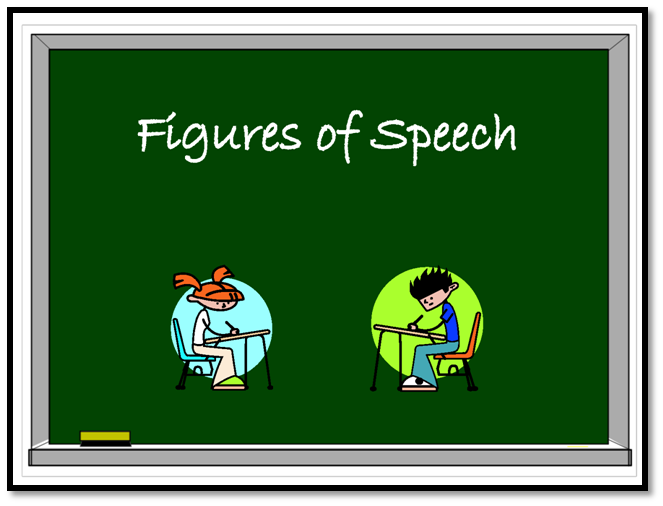 Figures of speech are means of expressing ones thoughts and emotions by adding intensity to the words used. It is a rhetorical way of speaking that uses words in distinctive ways. In simpler words, figures of speech are used to add an extra color as well as interest to awaken the readers or listeners. 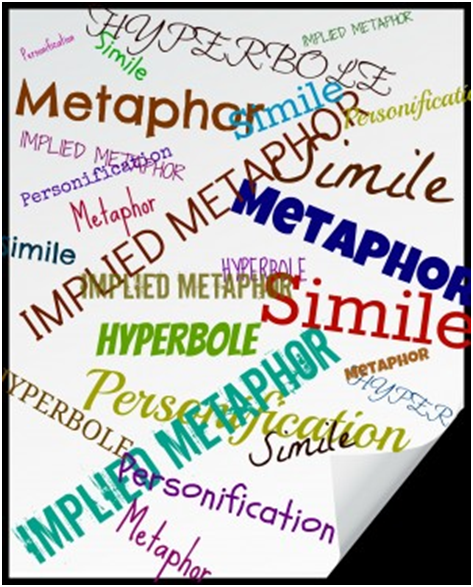 This article will give you a gist of the important figures of speech, which include metaphor, simile, personification, alliteration and hyperbole. 1. Simile- Simile is a figure of speech that is used to compare two unlike things. Usually, words such as 'than', 'as' and 'like' are used. - Monica's cheeks are like pink roses. - This paper is as thick as cloth. 2. 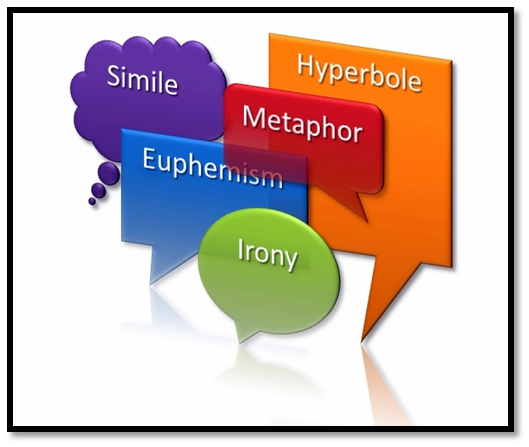 Metaphor- In this type of figure of speech, a word is used to denote an idea or an object to another, suggesting a likeness between them. - Life is a journey, death is a sleep. - Difficulties are the obstacles, achievements are the milestones. 3. Personification- These are used to give typical human characteristics such as emotions, honesty, etc., to a non-living thing, an animal or an idea. - It was that day that the flowers danced in the rain. - My laptop hates me! 4. Hyperbole- It is a deliberate overstatement that is used as a mode of emphasizing the truth in a bold statement. - Your mobile looks a hundred years old. - I think I've probably repeated the same a thousand times. 5. Alliteration- This is referred to an initial rhyme. In short, it is a repetition of sounds of a stressed word that is either at a short interval or in and around the sentence. - Meena's microphones made much more music than expected. - Pankaj poked his pen into Punit's pie. It is vital for you to understand the fact that the English language is incomplete without a know-how of English grammar. Hence, to improve and develop your English communication skills, you will need to focus and lay emphasis on learning all the basics of grammar. Try enrolling in an English tutoring course online, which will provide you with some professional help and training. Let's now take a look at an exercise that should help you practice better! 1. As alert as a bird. 2. Rita rolled like a roller coaster. 3. He looks like he is over two hundred years old. 4. On her dad's death, she cried a sea of grief. 5. The rainbow appears like a smile in the sky. 6. Does your laptop belong to the Stone Age? 7. Wash the washer with some water. 8. It really looked like it was raining men. 9. She is as agile as a cat. 10. The stars danced playfully in the moonlit sky. While learning English grammar, it is important for you to stay interested and focused. Doing so religiously will enable you to recognize and differentiate between figures of speech with absolute ease and confidence. All the best!